Robbie Avenaim is an innovative Australian sound artist with an international reputation for bold, sonic exploration. Focussed primarily on percussion and instrument building, his practice spans the domains of free improvisation and avant garde composition. For over 25 years, he has been at the forefront of the Australian experimental music scene both as a performer and a curator. 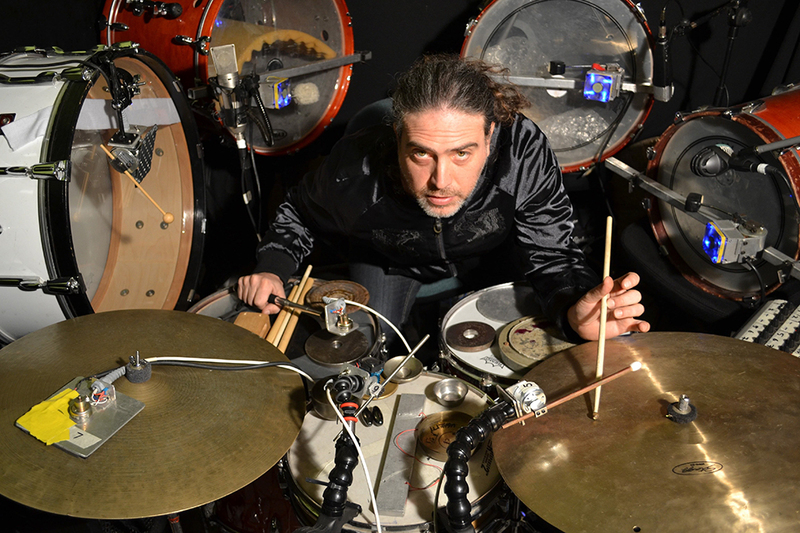 He has developed a unique approach to percussive performance which draws from a range of traditions. He is the co-founder and director of the legendary Australian experimental music festival, What Is Music? which began in 1994, and has since organised many significant sound-based exhibitions, performances and festivals regionally and overseas, which have been essential for the local growth and international prestige of Australia’s avant-garde musical reputation.